As mentioned, The Roc has moved several times. My first visit was over 10 years ago at their location on Kingsway near King Edward (it is Pho Thai Hoa now). The one thing we will always remember are all the times when we would all meet up for cheap Dim Sum there. They then moved further East on Kingsway and were closed for awhile since the buildings next to it burnt to the ground. Unlike these previous locations, the new one is more spacious and there are actual parking spots to be found. In fact, both my parents and I found parking right in front (which would've been impossible at the 2 former locations). As I walked into the place, the owner-lady immediately recognized us. Good memory, since we haven't been frequenting the place in the last 6 years. 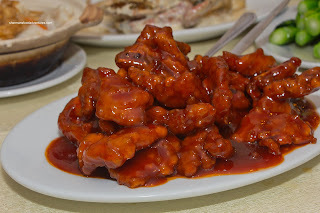 Given this class of Chinese restaurant, there was the usual "pick 'em" dinners. 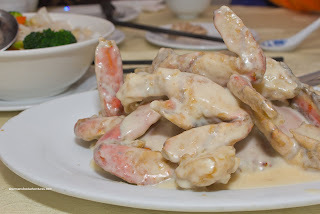 We went for the dinner for 4 which included choice of 4 dishes, complimentary crab, rice, soup and dessert. 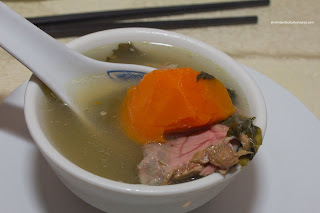 The Daily Soup consisted dried bak choy, carrots and pork bones. I liked how the soup came out steaming hot. Furthermore, it didn't seem too saturated with salt nor msg. Then something strange happened, we actually got a complimentary crab that was neither small nor emancipated. Was it due to the fact the owner-lady knew me? Whatever the case, we were pleasantly surprised with the Crab with Cream Sauce. As mentioned, the crab was meaty, fresh and flavourful. The sauce was not necessary creamy, it had the typical starch-thickened texture. They could've eased up with the fried starch coating, but that wasn't a huge issue. 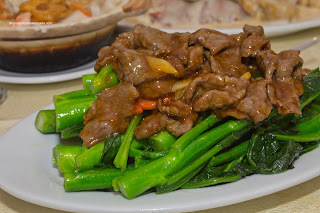 Next, we had the Stir-Fried Gai Lan with Beef. 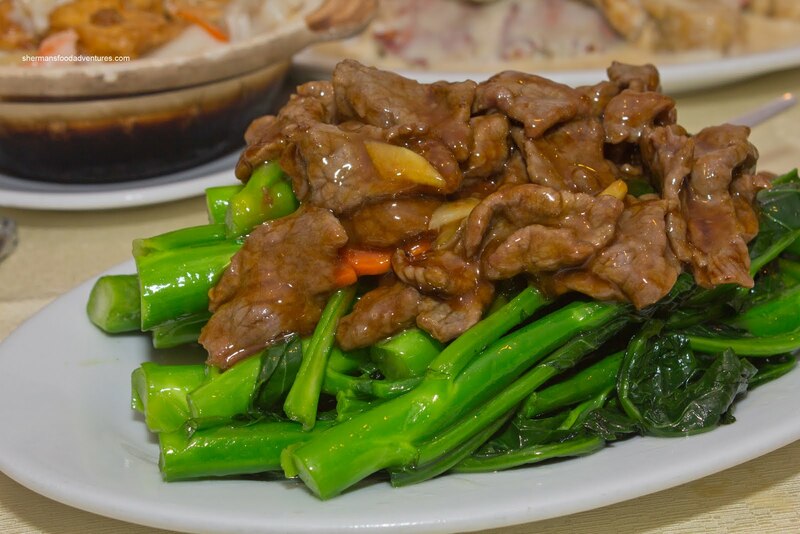 The gai lan was vibrant and crunchy while the beef could've stood for more tenderizing. Flavour was good though and there was evidence of good wok heat (no pool of water on the plate). 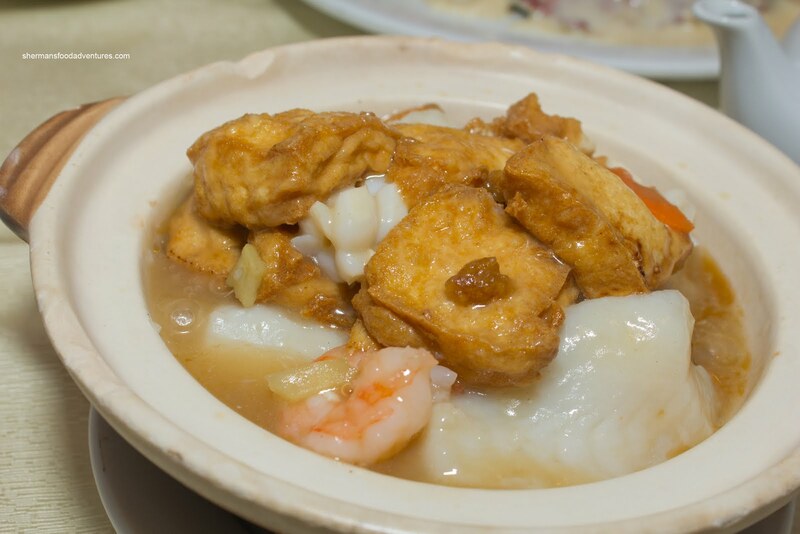 Sticking with our usual dishes, we got the Seafood & Tofu Hot Pot. I'm not sure if the pot was all that hot, but the ingredients were pretty good. The fried tofu was silky, the shrimp and scallops were cooked perfectly while the pieces of basa were moist and flaky. The squid could've stood to be less cooked. As for the Peking Pork Chops, these were a partial fail. The pork chops were over-tenderized, so there was barely any texture. To further compound the problem, there was far too much sweet sauce which made the dish soggy. Edible, yes. Good, not so much. 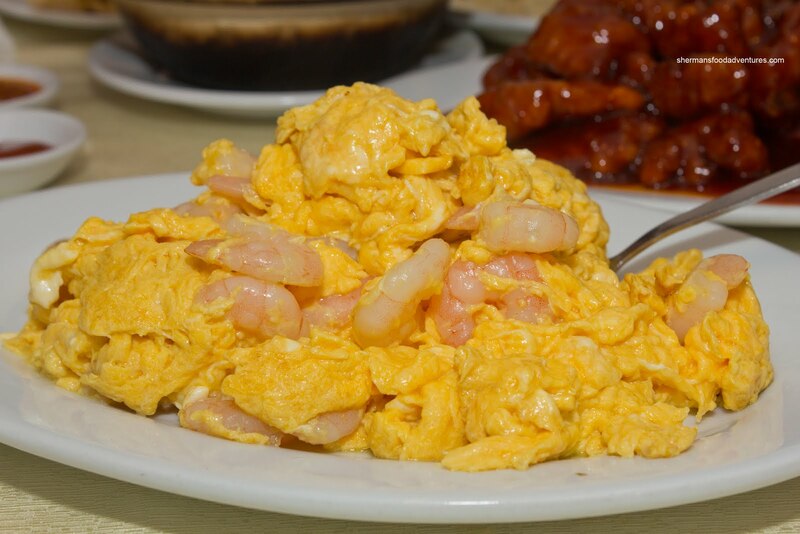 Our last dish was the Scrambled Eggs with Shrimp. This was a large portion with plenty of cold-water shrimp mixed within the fluffy eggs. Well, mostly fluffy eggs that is, there were some clumps here and there. Other than that, the dish was properly seasoned and went well with our rice. All-in-all, a decent meal at a decent price. 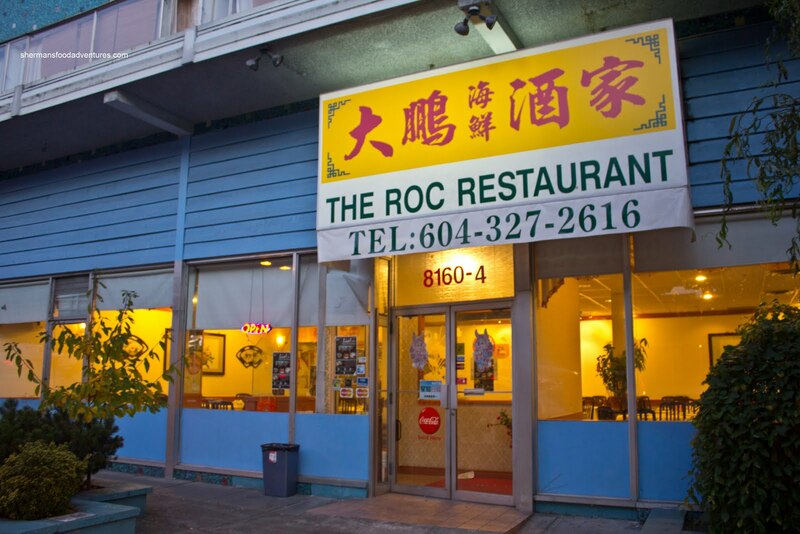 Considering its new Westside digs, The Roc still doesn't put much of a dent into our wallet. Of course there is better Chinese food to be found nearby, but not at the prices they are charging. We'll need to drop by for Dim Sum in the near future, their prices cannot be matched by any of the other Chinese restaurants in the Neighbourhood. You don't have many alternatives in that part of town, other than the institutional Flamingo a few blocks up on Cambie (can you say "w-h-i-t-e") and Taste Good (formerly Wonton King) on Marine @ Fraser, which I haven't been since they re-branded themself. The Roc does pretty solid dim sum, 'tho. @LR Compared to Flamingo and TG, I think the Roc is definitely better.